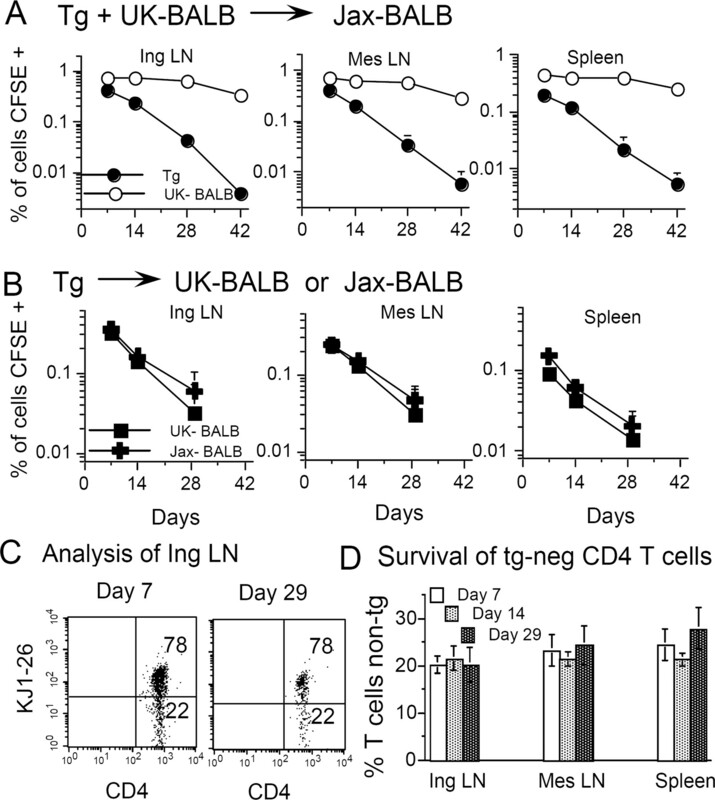 Survival of tg CD4 T cells is not influenced by the origin of the BALB/c recipients. A, CD4 T cells, purified from DO11.10 or BALB/cOlaHsd (U.K.-BALB) donors, were mixed 1:1, labeled with CFSE, and a total of 10 × 106 was injected i.v. into BALB/cByJ (Jax-BALB) recipients that were killed on days 7, 14, 28, and 42 and analyzed for the presence of tg T cells (•) and wt U.K.-BALB T cells (○). Each point represents the mean + SD of three or four recipients. 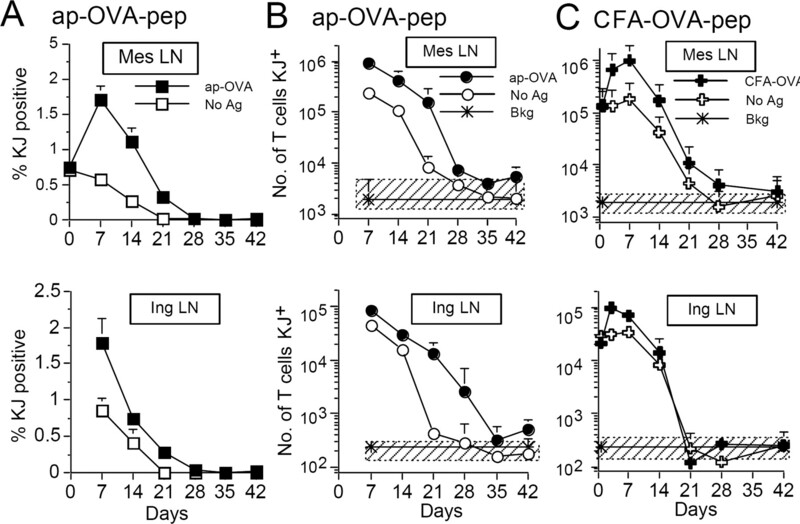 B, Tg CD4 T cells were labeled with CFSE and 4 × 106 were injected i.v. into U.K.-BALB (▪) or Jax-BALB recipients (✚) and killed on days 7, 14, and 29 for flow cytometric analysis. Each point represents the mean + SD of three or four recipients. 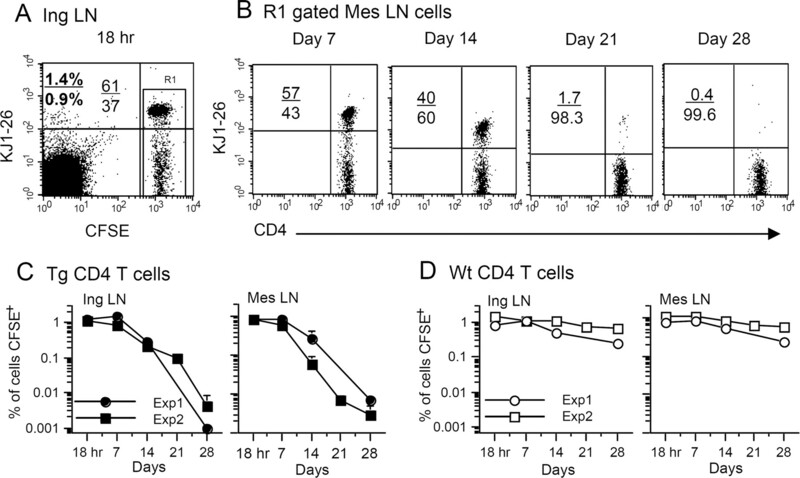 C, Representative profiles of donor T cells gated as in Fig. 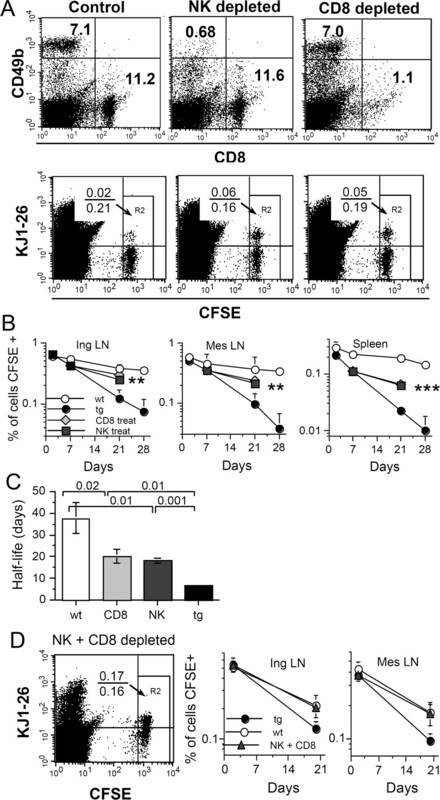 1 showing the percentage of KJ1-26+ (tg) and KJ1-26 negative CD4 T cells on day 7 and 29 after transfer. 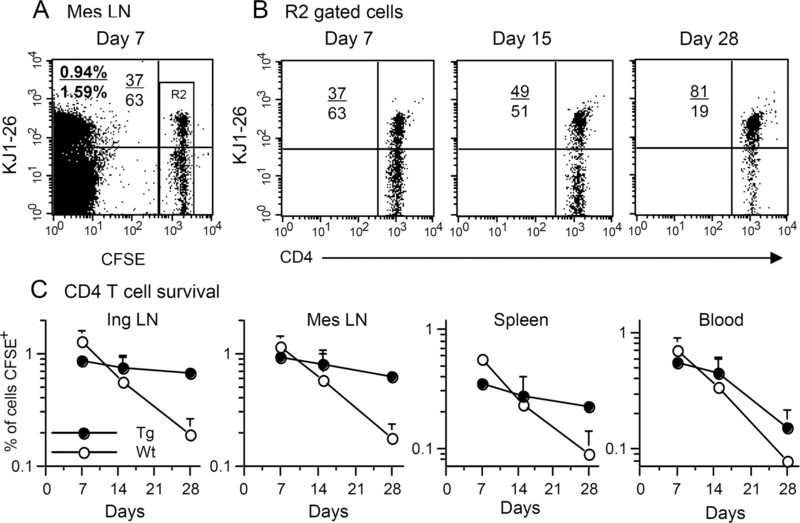 D, Both tg and tg-negative (tg-neg) CD4 T cells decline at the same rate. Values are means ± SD of three or four recipients representing the percentage of DO11.10 donor cells that were tg-negative. Ing, Inguinal; Mes, mesenteric.